According to Wikipedia, “The Ojibwa originally called Lake Vermilion Nee-Man-Nee, which means “the evening sun tinting the water a reddish color”. French fur traders translated this to the Latin word Vermilion, which is a red pigment. Lake Vermilion is located in the heart of Minnesota’s Arrowhead Region. 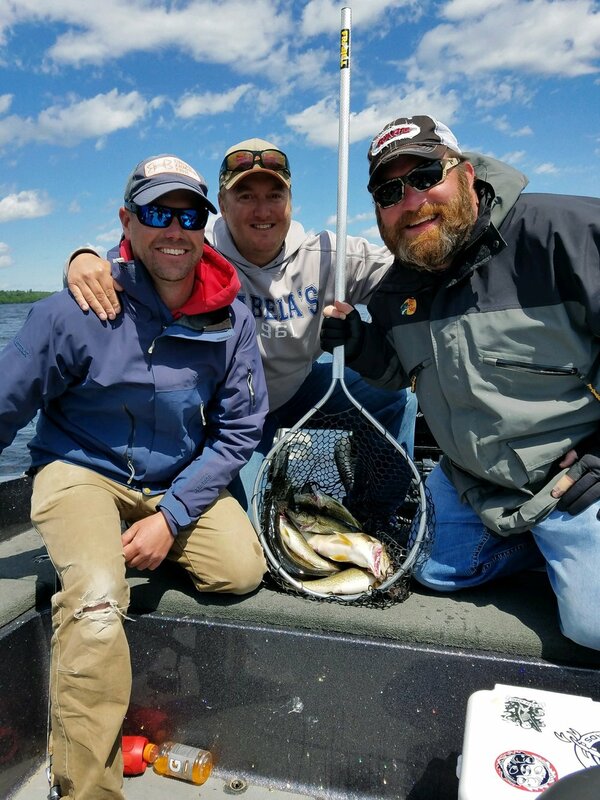 Lake Vermilion is known for its walleye, muskie, & smallmouth bass fishing. The lake attracts visitors from all parts of Minnesota and the Midwest. Visitors are drawn by Lake Vermilion’s reputation as a fishing destination, as well as its setting in the northern Minnesota wilderness. The Minnesota DNR rates Lake Vermilion as the fifth largest lake by surface area within Minnesota borders, at 39,271 acres. It is the southernmost section of the Canadian Shield, and contains over 365 islands, one for everyday of the year! Having fun and putting clients on fish is my goal on every trip!